Large brokerages such as Charles Schwab (NYSE: SCHW), E-Trade (NASDAQ: ETFC) and TD Ameritrade (NASDAQ: AMTD) have been forced to slash their trading commissions in recent years, in response to the massively popular zero-commission trading app from Robinhood. 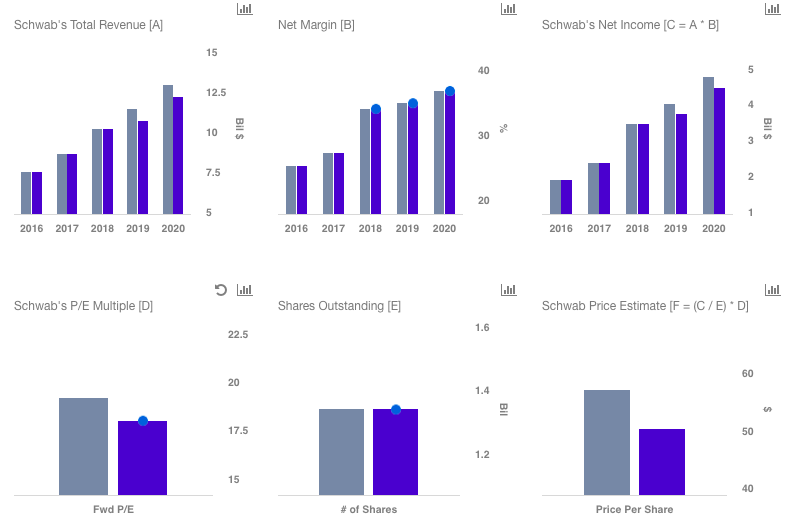 Despite this heightened competition, Schwab has managed to improve its average trades per account – as well as overall trading volumes – as its commission cuts have apparently been effective. However, in August JPMorgan announced the launch of You Invest, a trading platform that offers 100 free trades per year and no account minimums, which is likely to exacerbate the competitive pressure on Schwab and its peers. With that said, we believe that Schwab is largely insulated from any further pressure on its fees – even more so than its peers – due to its substantially diversified business model and its minimal reliance on trading commissions. For perspective, trading commissions account for less than 7% of our forecast for Schwab’s total 2018 revenues. 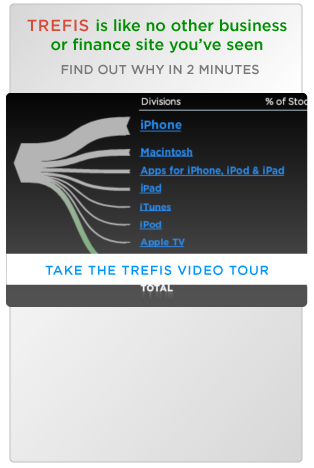 This compares to around 17% for E-Trade and over 30% for Ameritrade. Our interactive dashboard on How Much Will No-Fee Brokerages Like Robinhood Impact Charles Schwab details our base case forecasts and valuation estimate for Schwab, as well as a downside scenario in which the brokerage is forced to cut its commissions to zero. Our price estimate for Charles Schwab’s stock stands at $57, which is around 20% higher than the current market price. Below we discuss the impact of the competitive pressure in more detail, as well as the potential downside scenario. What Is Charles Schwab’s Revenue Breakdown? As mentioned above, trading commissions only account for around 7% of our forecast for Charles Schwab’s 2018 revenues. Interest on deposits, loans and securities – which includes margin loans as well as interest from agency securities, money market funds and other investments – accounts for over 50% of our revenue forecast. Meanwhile, asset management fees – which include fees on the company’s proprietary mutual funds and ETFs as well as administration fees on third-party funds – account for about 38% of expected 2018 revenues. Because of this limited reliance on trading commissions, in our view Charles Schwab is not particularly vulnerable to competition from low- and no-fee brokerages, as long as it is able to retain its existing customer and asset bases. What Would Happen If Schwab Eliminates Trading Commissions Altogether? In our downside scenario, Charles Schwab is forced to eliminate its trading commissions in 2019 in response to heightened competition from Robinhood and JPMorgan, in order to retain its existing brokerage customer base and continue adding new customers. For the sake of simplicity and conservatism, we assume no changes to our base case forecasts for brokerage accounts and client assets. It is likely, however, that the elimination of trading commissions would accelerate the company’s brokerage account and asset growth, as customers who may be considering Robinhood’s platform could be drawn to Schwab given its better-established brand and broader scope of offerings. By eliminating the trading commission revenue stream, our forecasts for Schwab’s total revenues would decline by about 7%. This results in a total revenue forecast of $10.7 billion for 2019, compared to our base case forecast of $11.5 billion. Our downside forecast for 2019 net income stands at $3.7 billion, versus $4 billion in our base case. Given the reduced growth forecast, we have also reduced our P/E multiple in the downside scenario to 18x from a base case of just over 19x. These changes result in a downside price estimate of $50 for Schwab’s stock. This downside estimate is around 12% below our base case, but still slightly ahead of the current market price. So even in a worst-case scenario for trading commissions, Charles Schwab still appears to have some modest valuation upside.